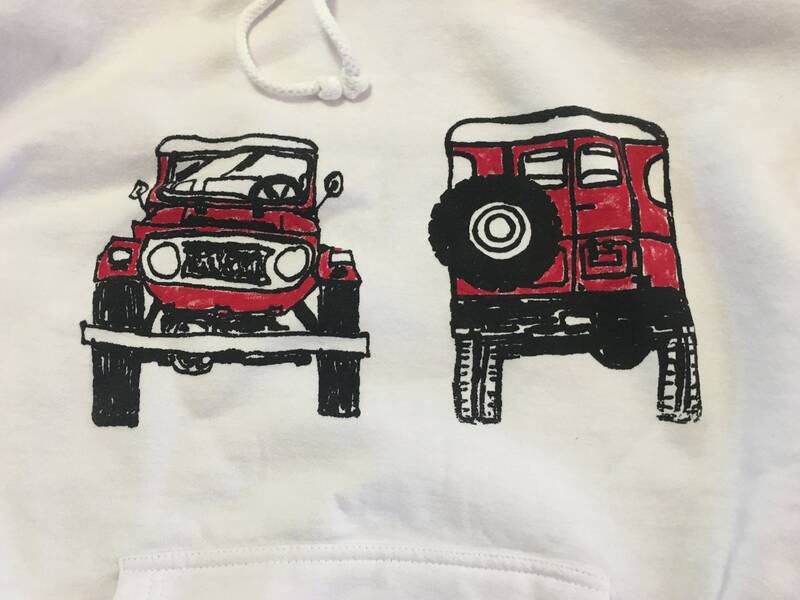 On the front of this hoodie is a screenprint of a drawing of an FJ40 front and back. 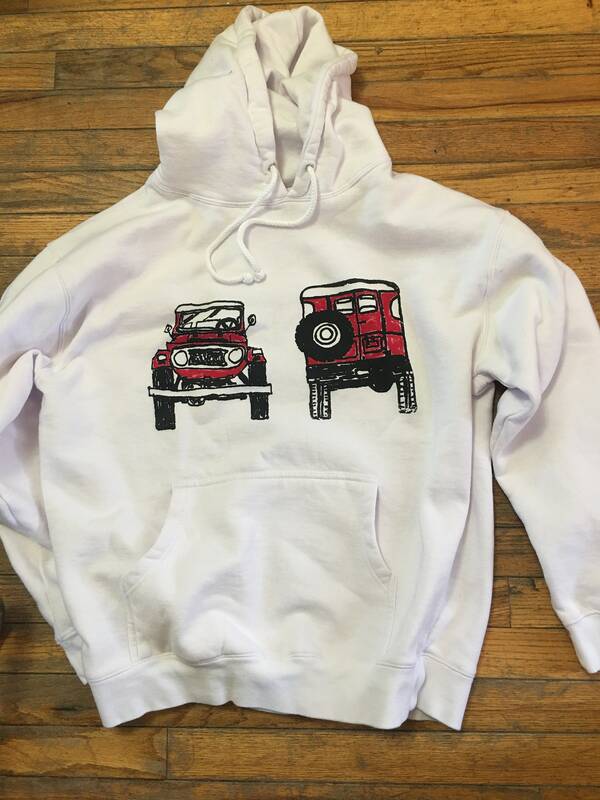 The size is adult, it’s a Independent trading hoodie and is 80% cotton, 20 % polyester. The black is screenprinted, the color is hand tinted. This ships with U.S.P.S priority mail on the U.S. Expect 3-5 days delivery. I ship the same day as ordered if possible, but next business day for sure other than special orders.